This facility has been used for many years as an amateur theatre. The Corn Exchange is a unique historic building occupying a commanding site in the centre of the town. 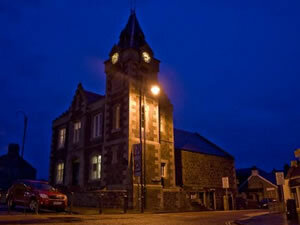 It is acknowledged locally that the Corn Exchange has an attractive historic legacy which contributes significantly to the unique character of Biggar High Street, which is why it is so important that it is preserved and maintained to serve future generations of local people and tourists visiting the town.